Organizations faced with running high-performing customer support centers often have one main objective…to find the best talent available to serve and retain their customers. In today’s transient workforce, it can be daunting to keep up a support center’s pool of good talent. Finding the right team members is an on-going endeavor for support teams. The details may be different for each company, but the aim is always the same —create satisfied, happy customers who keep coming back. Just like building a winning sports team, building a customer service team even with the best players isn’t enough to ensure success. You need a coach that concentrates on continuous improvement to make that team great. 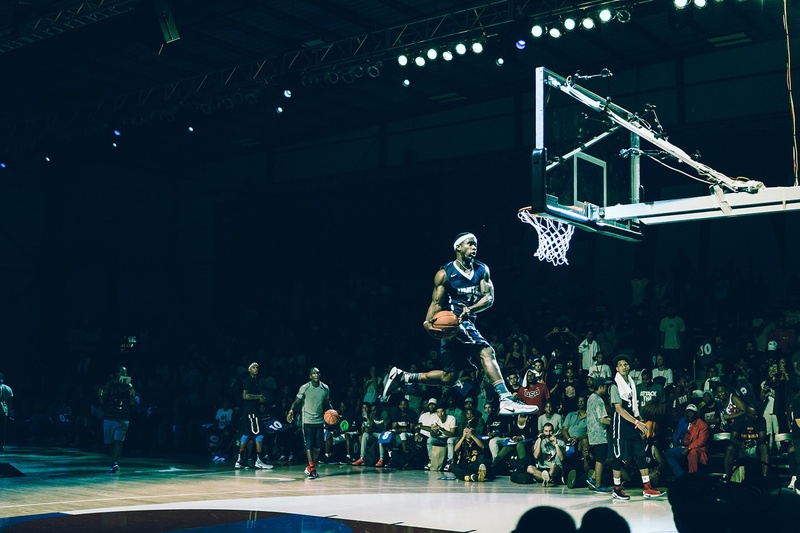 Just like sending your team onto the court without a coach to shape direction, planning your call center without a Center of Excellence (COE) results in a danger of losing in the game of customer satisfaction. It doesn’t matter whether you’re a manager that must deliver results, a VP of Customer Service or a CFO that creates the budget and sets the goal for the call center, your combined end goal is the same. But for all three, focusing on agent numbers is a distraction from achieving the goal of happy customers and fast time to resolution. "Just like building a winning sports team, building a customer service team even with the best players isn’t enough to ensure success. You need a coach that concentrates on continuous improvement to make that team great." Today, our industry is caught in a dangerous cycle where attention is misdirected toward things like the number of agents as the means to increase phone coverage, minimize customer frustration, and lower call abandonment rates. The truth is that these are all important issues but do nothing to increase the support center’s effectiveness or maximize customer satisfaction. While distracted by a subjective metric like headcount, a real problem lies beneath the surface that is likely circumventing your center’s success. The problem is a lack of knowing the importance of a command center or as we call it, a Center of Excellence. An elite player in the midst of a game and a call center agent needs every ounce of focus, intellect and even charm to make the right moves that result in their respective satisfied crowd or customer. Both the agent and the elite player have nothing left over to grapple with the wider strategy of moving the team towards its ultimate goal by looking at what needs to change. That’s like asking Michael Jordan to do his job and Phil Jackson’s at the same time. Today, our industry is still attempting to drive performance by putting all the emphasis on using the budget to hire a specific number of agents. Those that control the budget must change the game by giving managers the freedom to ensure that there is a small expert team that concentrates on COE activities rather than on being call center agents. By giving managers the control to set up a COE, all of these metrics and goals become achievable as part of a system of continuous improvement. "That’s like asking Michael Jordan to do his job and Phil Jackson’s at the same time." That’s because the skilled leader of the Center of Excellence is like a skilled coach. They both guide the players by taking a more holistic view. 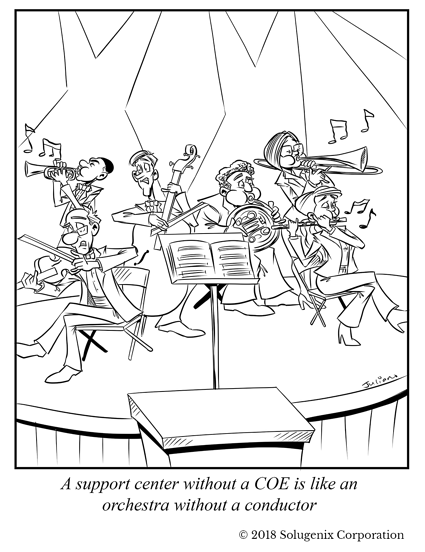 In the case of the COE, that means the support center and support center performance. This is true whether you’re developing in-house or outsourced support centers. 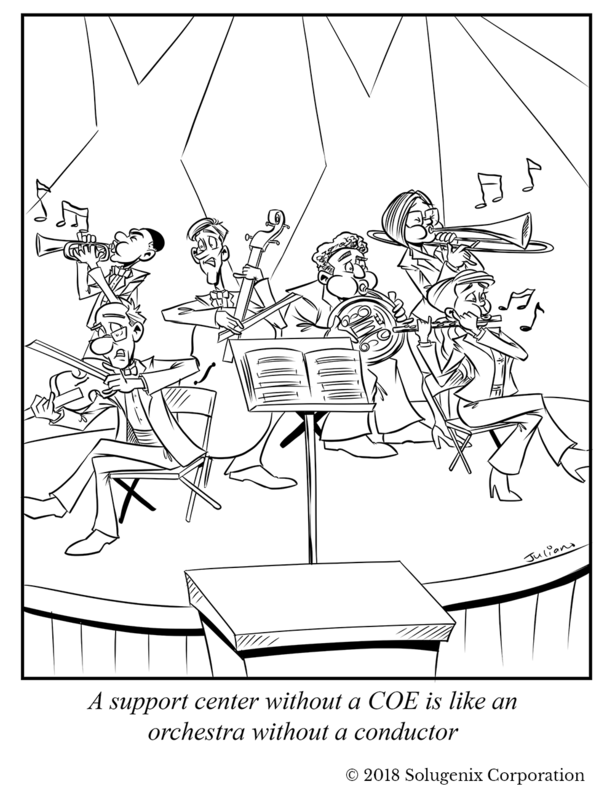 Without a COE, support centers have no way of knowing if they are doing well. This is the only sure method for objective assessment and critique for plotting the course to consistently improve performance. Without this mechanism you’re just expecting to build a top performing support center by chance. Like the coach that constantly assesses the team’s current state and plots a defined path to future excellence through specific training mechanisms, a COE is the mechanism for sustained excellence in the support center. Successful team owners understand that they need to give coaches the freedom to shape the team through constant development of a winning mindset. That requires budgetary control to build the team, apply the tools, develop the skills, enable focus, and track progress to achieve continuous excellence. When our industry’s VP of customer service/success and CFOs give managers the control and the mandate to implement COE, they provide them with the ability to constantly know where the team stands and continually evaluate the areas they can do better. This empowers them with the mechanism to know which areas to act on and then gauge the level of improvement over time. Without this continuous improvement loop made possible by a Center of Excellence, customer service centers are playing a dangerous game where they will inevitably lose customers. To win at customer service, companies need a COE to guide them through to victory.